Last year I did make a posting about counting all the provinces I had been in Thailand. And I saw I have been to (stayed in) 48 provinces out of the 76. So in the coming months I will travel via my postings from the most southern province I have been to the most northern province, with some photos and information about each province. This is part 13 of the 47 (out of the 77) provinces where I have at least stayed overnight once. Samut Prakan province is South & South-East of Bangkok and basically a industrial zone area. The province is split by the Chao Phraya River and there is a ferry crossing the river. Not a province many tourist will come you would think. 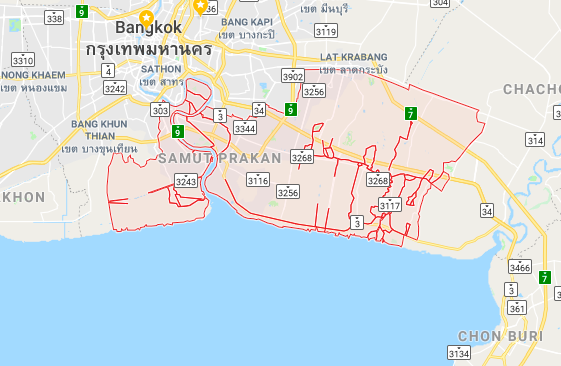 But still most tourist coming to Thailand will still at least travel thru Samut Prakan province as it is where Suvarnabhumi Airport is. And all tourists traveling between Chonburi province (Pattaya) and Bangkok will be traveling thru Samut Prakan province. And actually the coast-line along the Gulf of Thailand has some nice fishing villages like Klong Dan. 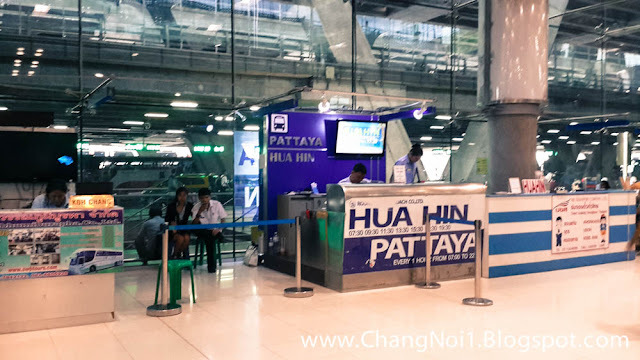 Personally I did travel mostly thru Samut Prakan province, going to Suvarnabhumi Airport or traveling from Pattaya to Bangkok via Sukhumvit road or via route 7. But to make it count as one of the provinces I at least stayed overnight once? Yes, of course I actually stayed overnight a few times in a hotel near Suvarnabhumi Airport. And on the border of Samut Prakan province and Chachonsao province is a very nice totally off the beaten track floating market called Klong Suan 100 Year Market.